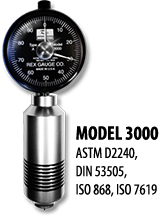 Rex Gauge - A leader in durometer hardness gauges for over 70 years. 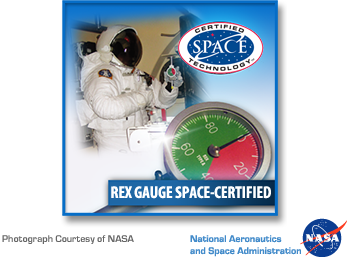 Rex Gauge Company has been a leader in the durometer hardness gauge industry for over 70 years. 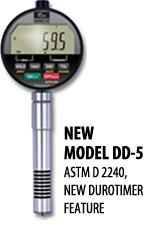 Rex Gauge Durometers are available in ASTM D 2240 durometer types (Shore hardness): A, B, C, D, E, DO, O, OO, OOO, OOO-S, M, R, as well as JIS, DIN ISO, ASKER and other custom durometer scales. Order direct online, purchase orders are accepted by email or fax, or find a distributor. We are proud to be the manufacturer of the only Space Foundation certified durometer. The SG-5000 durometer as pictured was taken aboard Discovery during the Space Shuttle Mission STS-114 on July 26th, 2005.